A Doncaster man was threatened in his own property by an armed raider. 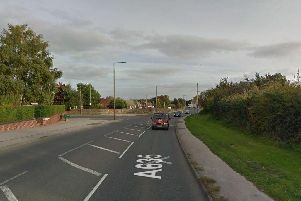 Police are appealing for information following the incident in Thorne last night wben the householder was confronted by an intruder. Officers received reports of the attempted aggravated burglary at an address in Mooredges Road, Thorne at about 7.50pm last night. Officers believe that a man, armed with a firearm, was disturbed by the homeowner whilst he was in the back garden. Following a brief confrontation, it is thought that the suspect ran away, without taking any items of property. The owner was uninjured during the incident. Police are appealing for anyone with information about the incident to come forward and have called on residents to ensure their gardens are secure. The suspect is described as a white man, 5ft 10ins tall, of medium build. He is thought to have been wearing a blue tracksuit and had his face covered. Anyone with information is asked to contact police on 101 quoting incident number 926 of 31 January. Alternatively, to give information anonymously, call Crime Stoppers on 0800 555 111.